THE POLITICAL PHILOSOPHY OF BAKUNIN. Scientific Anarchism. Compiled and Edited by G. P Maximoff. Mikhail Bakunin is one of the key anarchist thinkers and revolutionary activists of the 19th century. Building upon the federalist and libertarian socialist ideas of his friend Pierre-Joseph Proudhon as well as those in the European labour movement, Bakunin shaped anarchism into its modern form. His revolutionary, class-struggle-based anarchism soon became the dominant form of anarchism in the First International, challenging the state socialism of Marx and Engels and laying the foundations for both communist-anarchism and anarcho-syndicalism. His predictions about Marxism have been confirmed and his critique of capitalism, the state and religion are just as valid as when they were first expounded. Both the Russian and Spanish revolutions have confirmed the power of his ideas on revolution. His life and writings are a marvellous introduction to the nineteenth century He embodied in his actions and in the events of his life much of the experience of the struggle for freedom, both individual and national, which rocked Europe during this period. He was a prime mover in armed uprisings against despotic governments, a tireless propagandist and journalist, a teacher, a conspirator and, of course, a prisoner of the Czar for twelve years until his escape from Siberia. In the present work, G. P. Maximoff, a student of Bakunin, has accomplished for Bakunin what he could not do for himself. From Bakunin’s scattered writings he has selected those pertinent theoretical sections that give the reader a complete statement of Bakunin’s politics in his own words. It is, probably, the most substantial collection of Bakunin’s work in the English-language. Short of translating his collected works it has been difficult, in the past, to provide a translation of Bakunin that would make sense, hence so little Bakunin has been available in the English language. 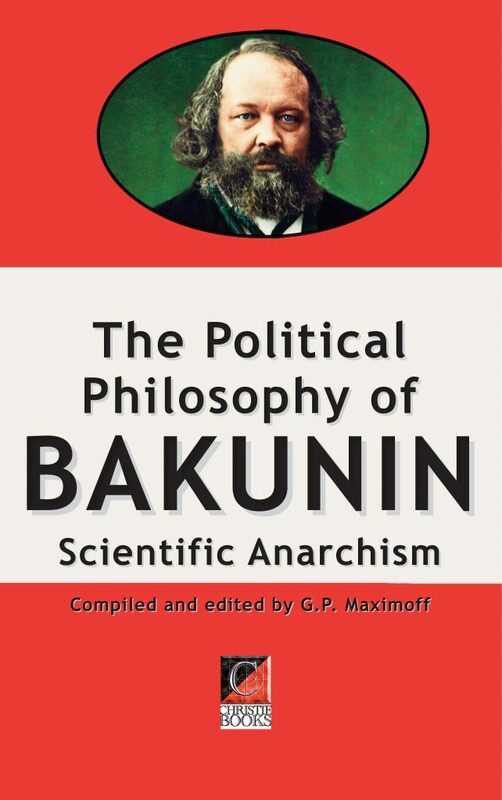 In addition to Bakunin’s text, the book contains a definitive biographical sketch of Bakunin written by Max Nettlau, a Foreword by Rudolf Rocker, and a Preface by Bert F Hoselitz.